Happy Monday! I love reading peoples favorite product posts, because it gives me some inspiration for trying new things. At (almost) one month old, there is not too much I use for Evan, but wanted to share what I have been loving for the month. I can not believe how quickly the past few weeks have gone. Evan was born at 37 weeks due to preeclampsia, and was due July 12th. Having a 7 year old girl, it was a HUGE change having a boy but also having a baby after 7 years. Everything is so different. 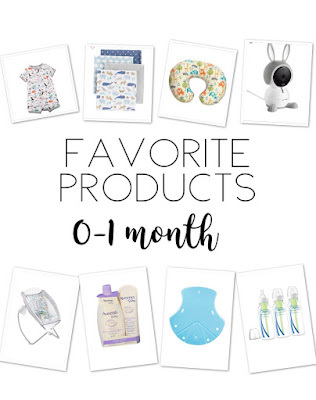 Below are my top 8 favorite products for the first month. Carters One Piece Snap up: These are a MUST in the summer. I love one piece outfits because they are easy to slide on and off. It is HOT here in NY, so he has lived in onesies and these snap up outfits. Plus, they are REALLY cute! Carters Receiving Blankets: I use the Carters receiving blankets for everything, but mostly for burping. I feel burp clothes are way too small, so I like to use these! They also are awesome for swaddling and just a thin little blanket! Boppy Pillow: I did not realize how much use I would get out of the Boppy. I breast fed for a few days and am now bottle feeding. I still use this pillow for every feeding. Its SO comfortable to prop my arms up and I feel the baby is much more comfortable as well! Dr. Browns Bottles: Speaking of bottle feeding, these are my GO TO bottles. I did not want to use them because of all of the parts, but I truly believe it helps with gas and air. 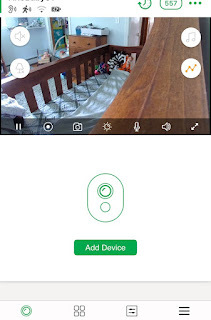 NETGEAR Arlo Baby Monitor: I did not have a video monitor with Molly, so this is a whole new ballgame. This monitor is amazing. It not only is cute, but it has amazing video quality and alerts you for everything. One of my favorite parts of it is it alerts you when the temperature or humidity is too high or low. It plays music, has a two way speaker and you can do this all from your phone!! Fisher-Price Rock and Play: Everyone I knew suggested to get this and now I know why. The rock and play is an amazing seat that (of course) rocks, but the way the baby sits is more upright. Evan LOVES this because he hates to be flat on his back. Aveeno Baby Lotion & Wash: I love Aveeno products for myself, but love the lavender scent for the babes. It makes him smell amazing and calms him! Puj Tub: The Puj Tub! This tub is literally the best. I was a bit skeptical, but man its awesome! For now, I put it in my kitchen sink and he just loves it. It sits right in the sink and the baby comfortably sits in it without sliding down. I also love that there is holes all over so the water never gets too high (of course never leave your baby unattended around water). 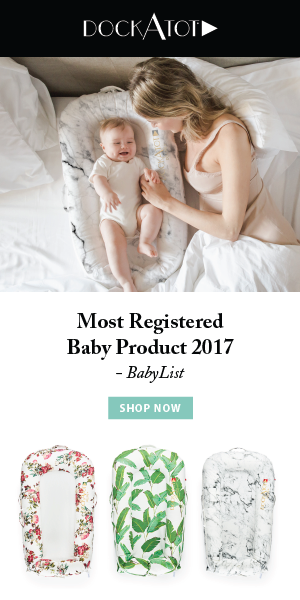 I hope this helps you all if you are expecting a baby or have a little one! I would love to hear your favorite below! Yes, great list! 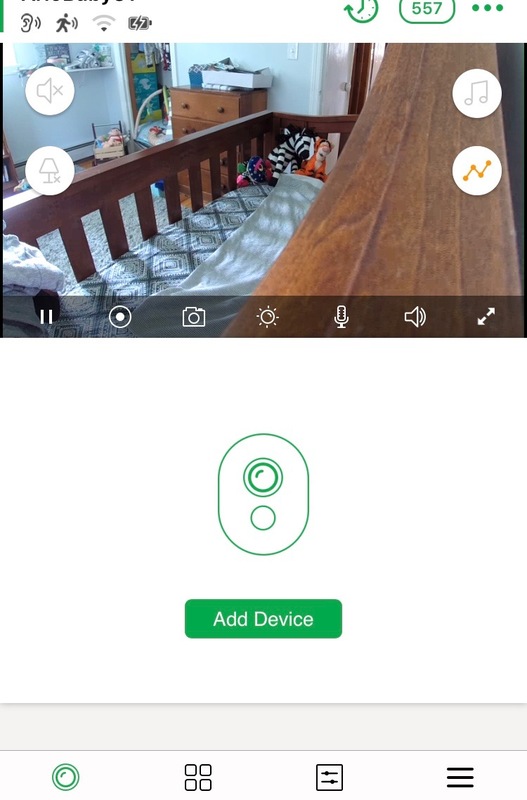 If I ever have another I need to look into that NETGEAR Arlo baby monitor! We loved the rock and play! Great suggestions. I love how there are so many different choices for parents now. If one bottle doesn't work, find another one. No biggie! I never used any of these with my kids, but thanks for picking fun suggestions!